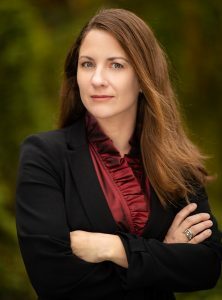 Lydia Patton, professor of philosophy at Virginia Tech. How being able to visualize data promotes the free and open exchange of ideas will be the topic of a lecture at Wright State University by Lydia Patton, an expert on the history and philosophy of science. The Erik C. Banks Memorial Lecture in Philosophy will be held Tuesday, March 26, from 3:30 to 5 p.m. in the Discovery Room (163) of the Student Union. It is free and open to the campus community and public. Patton is a professor in the Department of Philosophy at Virginia Tech and the editor of HOPOS, the journal of the International Society for the History of Philosophy of Science. Patton’s lecture is titled “Picturing Democracy: How Data Visualization Promoted the Free Exchange of Ideas.” Patton will discuss the work of Marie and Otto Neurath, Austrian philosophers who developed isotope, a pictorial language for statistics. Isotope is used to promote public understanding of research data and the free and open exchange of ideas.